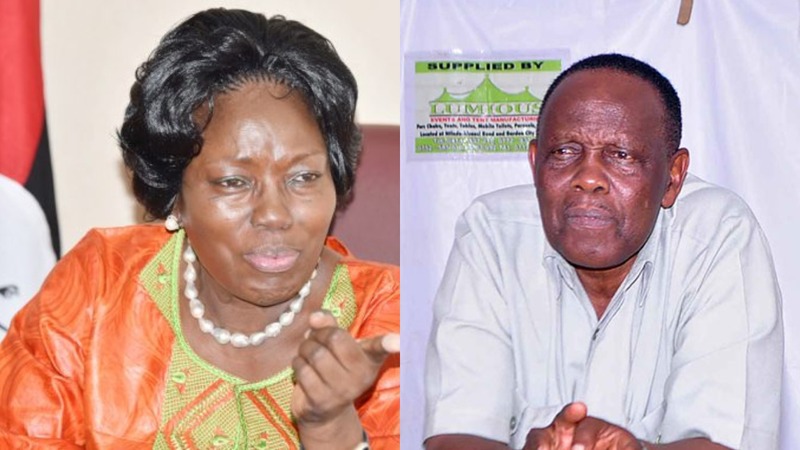 PARLIAMENT – The Speaker of Parliament, Ms Rebecca Kadaga, has described as unacceptable the action where Uganda’s Ambassador to Burundi, Maj Gen (rtd) Matayo Kyaligonza, and his armed guards were caught on camera assaulting a traffic police officer. Addressing journalists at her office on Monday, Ms Kadaga also called for the promotion of Sgt Esther Namaganda, who was assaulted. “I want to ask the Inspector General of Police to promote that lady (Sgt Namaganda) because despite the pressure she insisted in doing her job in line with the law,” she said. She also said for Kyaligonza, a member of NRM’s Central Executive Committee, to assault a police officer, moreover, a woman is against the principles of the ruling party that promotes rights of marginalized groups. “I find that conduct really unacceptable for leaders or any other person to assault someone who is performing their responsibility given to her by the government,” Ms Kadaga said. The incident, which took place in Seeta, Mukono Town on Sunday, has drawn public condemnation. The UPDF spokesperson, Brig Richard Karemire, apologised for the incident and the two military police guards caught in the assault video were arrested. The Uganda Women Network (UWONET) Executive Director Rita Aciro on Monday also petitioned the speaker, highlighting the rising abuse of women in the country. Ms Aciro said that they are concerned about the worrying developments that have caused women to live in fear of the return of the dark days, characterized by battering and other forms of marginalization. The Speaker said that there is a need to train members of parliament and ministers on gender matters. On Monday, the Opposition Forum for Democratic Change (FDC) also called for the sacking of Kyaligonza as Uganda’s ambassador to Burundi. “Our demand as a party is that Kyaligonza can continue being the NRM chairman for western Uganda, but it is unacceptable that he continues holding the portfolio of Uganda’s ambassador to Burundi and that is how we are going to be imaged. Diplomacy is all about good conduct. He should be sacked or he resigns. How do you represent a country when you are on the road beating women,” Mr Ssemujju told journalists on Monday at the party headquarters in Najjanakumbi, a city suburb. “We have witnessed a number of similar incidences who have publically displayed this impunity by the senior officials and they have instead been applauded while others promoted. This must stop,” he added.